Your reception area could be one of the most important space in your business. It is the first point of contact for many visitors, and you only get one chance to make a first impression! Your choice of furniture for the space requires careful consideration. When deciding, you need to think about the design and style of the area as the desk will play an influential role in how the room is perceived by visitors. NSI can provide a full suite of office reception furniture desks and chairs to provide a professional front office for your business. No matter the size of the room and whatever the budget you have, NSI will be able to provide you with the reception you need to help your business grow. All of our furniture comes with NSI’s first class customer service. Our range of desks are available in a huge range of veneers and in a variety of sizes to give a functional yet attractive work space. 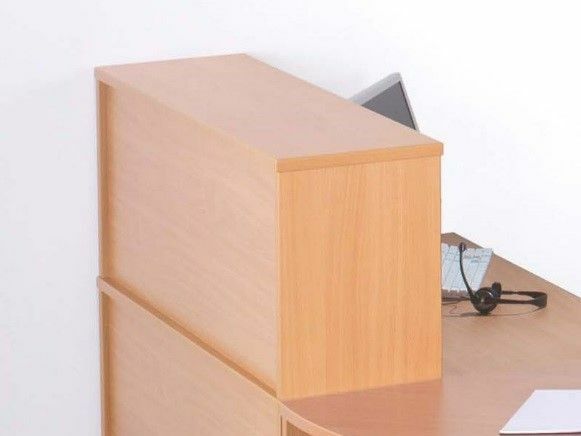 Our range of desks includes both rectangular and curved designs. All our desks come with drilled holes for cable management to allow for a tidy working environment. Free assembly is available with all of our desks so that minimum disruption is made to your business. 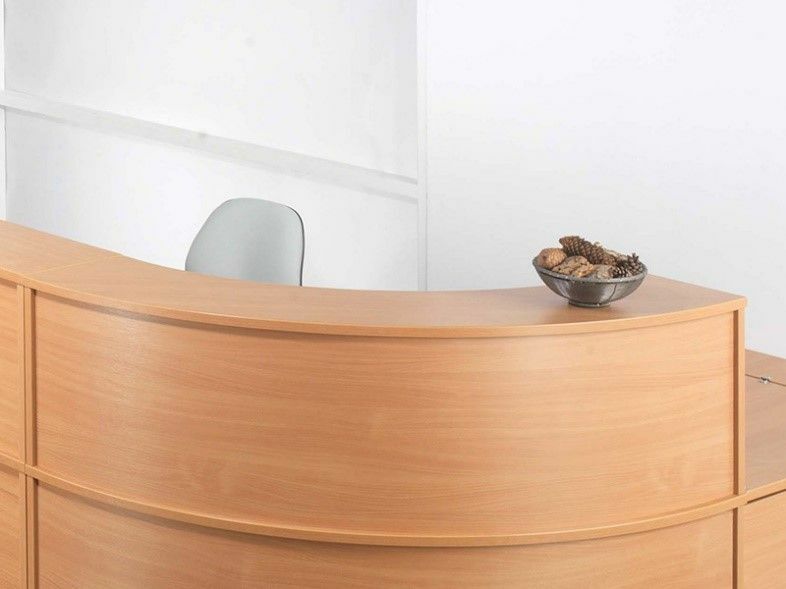 All of our desks have plenty of work and storage space so that you don’t have to choose between practicality and aesthetics when choosing you reception area furniture. Our range of office reception furniture also contains a range of waiting room chairs to provide comfortable and practical seating for any reception or meeting place. Made from durable fabric or leather, our tub seats can give your reception area a professional look.